You stand around not knowing what to do. its foot inside your shoe. Such clumsy roads keep us apart! where the first of my teachers first wrote speech. These couplets are from Top Dance Moves & other poems, a slim chapbook published by Marinera Press, Wellington 2014. Some you may recognise as Bill tweeted a few of the short poems in the book from @pacificraft. This glorious wee collection filled me with the joy of poetry — the way slender lines send tendrils into a past that jumpstarts, or a heart that pulls, or a melody that swings, or a present that makes believe. One of my favourite reads of the year. Thanks to everyone who read, shared or contributed to my posts in 2014. This entry was posted in NZ Poets, Poetry and tagged Bill Manhire, NZ Poetry on December 19, 2014 by Paula Green. 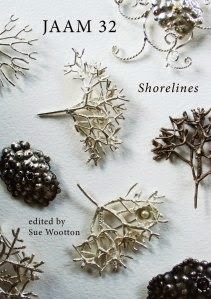 JAAM 32: Shorelines was launched simultaneously at the first LitCrawl festival in Wellington and at The Inch Bar in Dunedin on 15 November. JAAM is a popular national literary journal, published annually with the help of funding from Creative NZ/Toi Aotearoa. For the 2014 issue of JAAM we shifted south, welcoming Dunedin writer Sue Wootton (pictured) as our guest editor. Sue is probably best known as a poet – she has published three collections of poetry, most recently By Birdlight (Steele Roberts, 2011), and has won awards for her poems. But she’s also an experienced prose writer. Her ebook of three short stories, The Happiest Music on Earth, was published in 2012 and her children’s book, Cloudcatcher, came out in 2010. Sue has twice been a runner up in the BNZ Katherine Mansfield short story awards, has been a finalist in the Sunday Star Times and Royal Society of New Zealand Manhire Prize short story competitions, and has won the Aoraki Literary Festival short story prize. There was a good representation of South Island writers in this issue, including Vincent O’Sullivan, Diane Brown, Rachel Bush, David Eggleton, Kerrin P. Sharpe, Joanna Preston, Carolyn McCurdie, Frankie McMillan, Emma Neale, Rhian Gallagher and Karen Zelas. Also among the writers whose work features in JAAM 32 are Tracey Slaughter, Morgan Bach and Tim Jones. For more information about JAAM you can visit: www.jaam.net.nz or contact the editors on jaammagazine@yahoo.co.nz. This entry was posted in Uncategorized and tagged JAAM on December 19, 2014 by Paula Green. 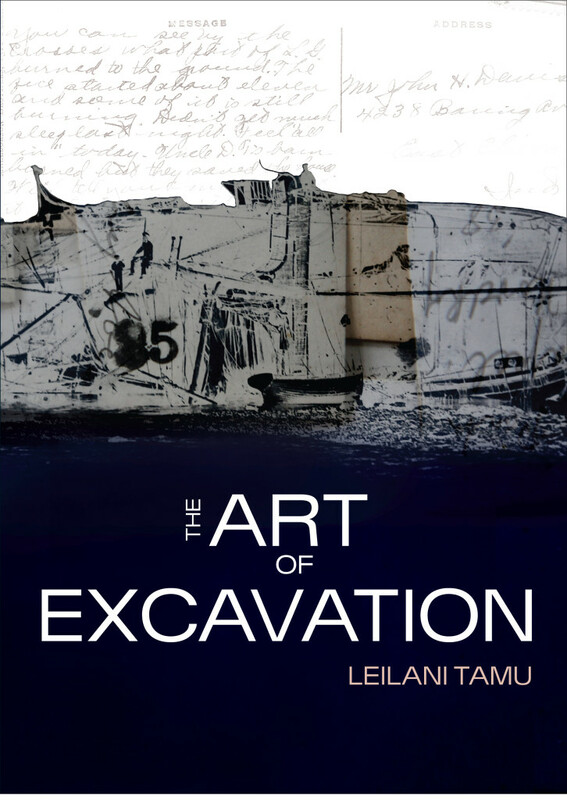 Leilani Tamu’s The Art of Excavation — This is an impressive debut that lays poetic roots in the present in order to nourish the past. Leilani Tamu graduated with an MA in Pacific History at the University of Auckland. She is also a poet, social commentator and has worked as a New Zealand Diplomat. She was the 2013 Fulbright -Creative New Zealand Pacific Writer in Residence at the University of Hawai’i. Her poetry has appeared in numerous collections. Leilani’s debut collection is in debt to the ‘concepts, ideas and philosophy’ underpinning her Masters thesis: Re-defining ‘the beach’: the Municipality of Apia, 1879 -1900. This poetry is the work of a poet who is Pacific archaeologist, word alchemist, hot-air balloonist (sees the world from new perspectives), scholar, musician, navigator, storyteller. The poems forge vibrant links with people and place, and with both economy and flair, they frame scenes and anecdotes. I was struck by the way the weighty package of a thesis is reduced to the slender frame and form of a poem yet billows with scholarly insight. A single phrase can open the poem out for the reader (‘layers of decaying colonial matter’ ‘but the missionaries/ caught the message/ on the wind/ and ate the bat’ ‘hijacked history remains supreme/ over dusty archives’). This is an impressive debut that lays poetic roots in the present in order to nourish the past. This entry was posted in NZ Poets and tagged Anahera Press, Leilani Tamu, NZ Poetry review on December 16, 2014 by Paula Green. Vincent O’Sullivan posts some new poems by Emma Neale on the Laureate website. They are simply breathtaking. Current NZ Poet Laureate, Vincent O’Sullivan, has selected some new poems by Emma Neale to mark the shift between one year and the next. They are stunning poems, not only in the aural delights, the archival detail and each poem’s building momentum, but in the way the poet lays anchors in both a real world of sons and husband and an exhilarating world of ideas. These poems have shifted gear. 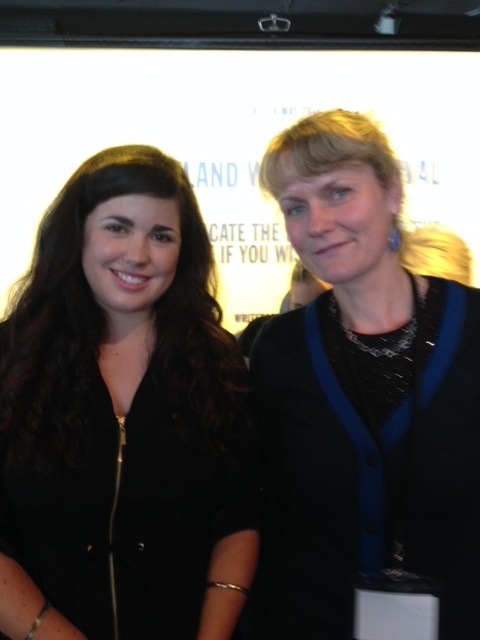 Emma was shortlisted for the Sarah Broom Award this year and read with fellow shortlisted poet, Kirsti Whalen, at the Auckland Writers Festival. To hear Emma read was to hear the poetic detail and music come into even richer life. A highlight for me this year. For the selected poems see here. This entry was posted in Uncategorized and tagged Emma Neale, NZ Poet Laureate, Vincent O'Sullivan on December 16, 2014 by Paula Green. 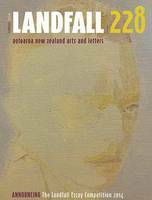 The latest issue of Landfall contains the essays by the winner (Diana Bridge) and runners-up (Sarah Bainbridge, Simon Thomas, Scott Hamilton) of the 2014 Landfall Essay Competition. Judge, David Eggleton, selected 11 finalists (all listed) from 39 entries before selecting the winners. He is also publishing the essay by another finalist, Tina Makareti in Landfall 229. Having read the judge’s comments, I am now interested to read the essays themselves. What I have done though is read all the poetry. Four poems particularly stood out for me. Carolyn McCurdie’s ‘Hut’ The opening lines are tremendous: ‘If I come back as a building/ it will be as a tramping hut.’ The poem deposits you in in its heart which is the heart of the hut. Right there in a place where words so frequently stop, yet Carolyn’s lines are memorable. Reihana Robinson’s ‘And Blessed Be’ The lively word play of this poem is utterly infectious. Semira Davis’s ‘White Girl: Māori World’ The poem has a razor-sharp edge that stops you in your tracks. Is it okay for a skinny white girl to speak Te Reo? I was capitivated by Michele Leggott’s essay, ‘Self-Portrait: Still Life, A Family Portrait.’ It is both inventive and moving. I don’t want to say anything more but let it unfold for you as you read it. Oh and I also loved the portraits by Lorene Taurerewa. One features on the cover. And as for the fiction, that is part of my summer reading. This entry was posted in Uncategorized and tagged Carolyn McCurdie, Landfall, Michele Leggott, Rhian Ghallager, Semira Davis on December 11, 2014 by Paula Green. Gregory O’Brien has three poems featured at The Manchester Review. See his three poems here. This entry was posted in Uncategorized on December 10, 2014 by Paula Green. This entry was posted in NZ Poets, Poetry and tagged Bill Manhire on December 10, 2014 by Paula Green.